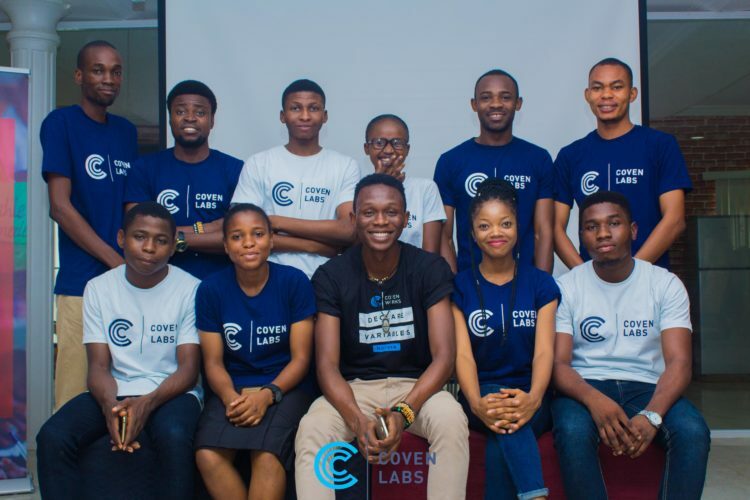 Coven Labs of Curators University is leading Nigeria’s journey to widespread application of Artificial Intelligence and Machine Learning. With global giants like Siemens, Airbus, Mckinsey, Boeing and so on getting more interested in hiring data scientists and Machine Learning Experts, and finding means of organizing, applying and making sense of user data; there is no better time to learn about Data science from a trusted institution with partnerships on 4 continents. 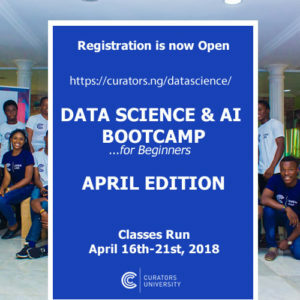 Join the April 2018 Beginners Data Science Class starting on 16th April and add more value that your employer can pay for. Begin solving data science problems immediately. Nothing beats sitting with your instructors one on one and cracking the issues.